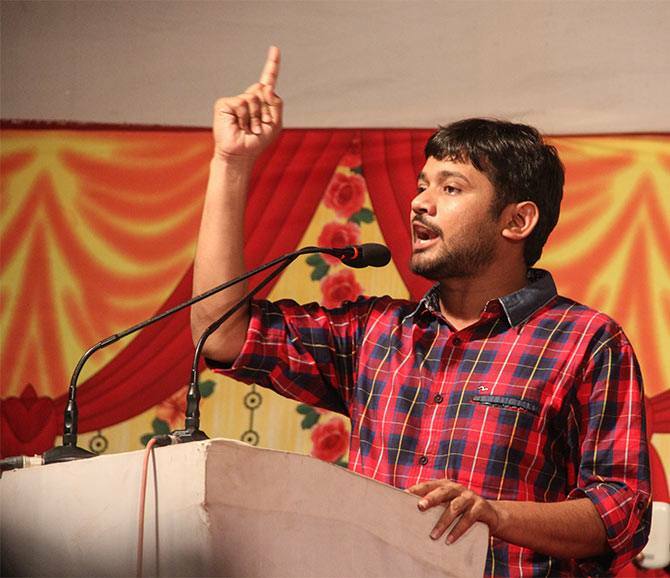 After the Film and Television Institute of India, another city-based institute has received a packet containing "explosive" substance, a detonator and a threat letter carrying a warning against inviting JNUSU president Kanhaiya Kumar, police said on Monday. The Department of Communication and Journalism located in Ranade Institute building in Deccan area in Pune, got the packet, with content similar to what was found in the FTII parcel on Saturday. The Department of Communication and Journalism, which is run by the Savitribai Phule Pune University, had received the parcel on Saturday, which was opened on Monday. "A peon at the Department of Communication and Journalism in Ranade Institute had received the parcel on Saturday. But when it was opened on Monday, it was found to be containing explosive substance, a detonator and a threat letter. The only difference in this packet (from the FTII parcel) was the name of the recipient," said DCP (Zone I) Sudhir Hiremath of Pune Police. The letter was addressed to the head of the department Dr Madhavi Reddy, he said. When contacted, Vice Chancellor of SPPU, Vasudev Gade told PTI, "Madhavi Reddy came to my office and showed the parcel to me. The letter in the packet read, 'You are supporting anti-national Kanhaiya Kumar and you will have to pay the price. A gift has been sent along with this letter.'" The police officer said that they were trying to establish whether the packets were sent before the Kanhaiya Kumar's event held in the city on April 24 or after that. "Based on our investigation conducted so far, it seems that both the parcels were dispatched within the city and received at Deccan Post office on May 7," he said. "We are trying to ascertain the stamps on both the parcels to understand the origin from where the parcels were dispatched. The stamps are not clear, hence it is difficult to ascertain the post office, from where it was sent," he said adding that the parcel was sent through ordinary mail. Some students of the department were part of the organising committee, which had invited Kanhaiya Kumar in Pune on April 24. The students had formed a committee to invite him, after the BJP's youth wing, Bharatiya Janata Yuva Morcha, had allegedly threatened to beat up the students if they invited the JNUSU leader. The event was finally held at Balgandhava Rangmandir in Pune. The administration of the journalism department has approached Deccan Police Station to register a case.